Combine dry ingredients in one bowl, and wet ingredients in another bowl except berries. Heat the oven to 350 degrees and spray an 8 x 8 x 2-inch pan with cooking spray. Combine wet and dry ingredients until smooth, then fold in berries. Pour into baking dish and bake for 20 – 25 minutes until a toothpick inserted in the center came out clean. How much cocoa powder in the recipe? The measurement isn't posted. 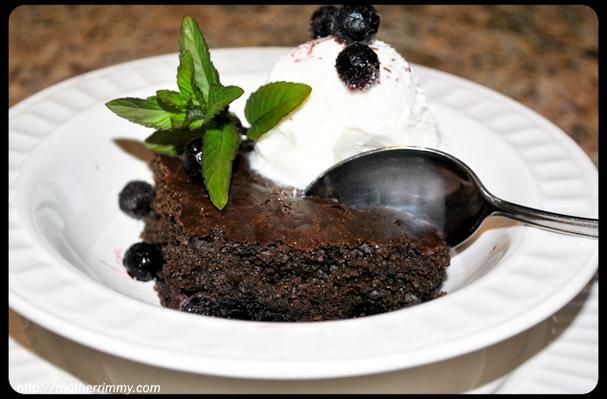 This brownie recipe uses whole wheat pastry flour and blueberries to make a healthier treat for your family.